Do unto others as you wish them to do unto you. Now, I'm not making this announcement because of karma. I am making the announcement because every so often, as new waves of members become active and things on the site grow and change, it has become a pattern that OOC bullying occurs more frequently during these times. I would like to iterate that you are not required to like anyone on this forum. However, you are encouraged to give respect to all members of the forum, no matter who they may be and no matter where you encounter them. 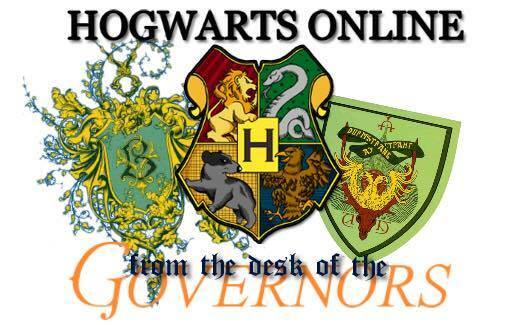 If you are having a personal issue with a member that cannot be solved in a civil manner, seek help of a Hogwarts Online administrator if this problem is interfering with your ability to either A)remain active on HO or B)complete a job on HO. We advise that you do not advertise your woes and personal problems in a public venue, for this will only generate additional controversies, complaints, misunderstandings, and quarrels. 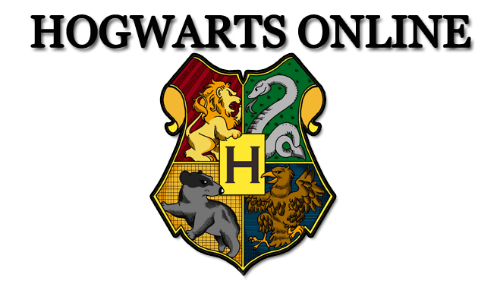 OOC Bullying and harassment is taken seriously at Hogwarts Online as we have a zero tolerance policy and if you feel you are truly being bullied, please feel comfortable in contacting any of the Governors. If you feel it is a Governor that is bullying you, and you are worried your opinion or situation will not be heard, I would like to personally advise you to still seek the aid of a Governor. We work as a team and are looking out for the best interests of everyone. I write to you for the final time as it is time to say goodbye. As a new calendar year begins, so too a new age on HO. Since the founding of HO on July 26, 2005 I have had a strong group of supporters that have helped to make this community what it has been and what it is today. I am grateful for those many friendships I have cultivated throughout the years. HO gave me my start, HO gave me a place to be and has been part of my life for more than half of it. For quite sometime, I have been absent from HO and that has always bothered me. For a site and community to truly thrive, it must have a strong, benevolent owner that can provide support and direction. That support and direction has been missing on HO for a number of years, even though it has had many dedicated and competent governors. While January 12, 2019 marks my final day of ownership for HO, today marks a new beginning for HO. After today, HO will be owned by Giselle D'Lisle. The writer behind Giselle has been a longtime member of HO and a dear friend of mine. He has been a member of HO since 2005. The writer behind Giselle will be the new individual to give HO that support and direction that it needs. He is perfectly suited for this role because not only can he lead HO in a new direction, he can do so knowing well the roots of where we came from! 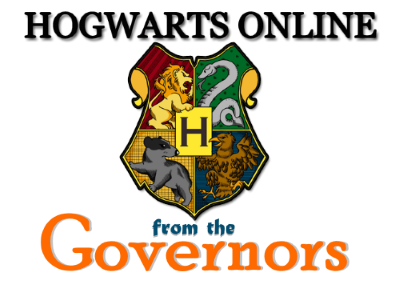 My advice for both the new owner and the governors board is to always remember that first and foremost this is a community centered around a love of the Harry Potter series. Community, being the most important part of it. With that said, I truly wish this community all of the best! After much thought and consideration, Quidditch is coming back to Hogwarts with a complete revamp! The way the game will be played will be completely different to how its ever been played before on Hogwarts, and for the better! Information about game play and rules will come shortly, but please join me in welcoming the sport back! Professor Heidi Haven will be the OOC Quidditch referee at Hogwarts. She will be updating everyone about the rules of the game and contacted Head of Houses about establishing team captains and house teams, so be on the lookout within your house and from house leaders about joining in on this exciting new rendition of Quidditch! I am pleased to share with you all the results of February's selections for Featured of the Months! Winners should feel free displaying the award in their signatures. Everyone, please join me in congratulating them all! You may have noticed that there have been a few small changes to the site's member groups. This is part of a larger effort to optimize and clean up HO over the next few weeks. We will also be phasing out the now-defunct Beauxbatons groups. All former Beauxbatons students will be placed in one group. If you wish to have a former Beauxbatons student transferred their account will still be easy to find. Finally, I am doing a test run on badges next to names for positions as opposed to (P) and (G) etc. If people seem to like it and it doesn't cause issues with the code, we will adopt this system of denotation more widely. Wow! Yet another term has come and gone, and this one was quite the doozy! This term, the four houses battled tooth and nail to take the lead in house points, with a particularly gruesome and close competition between Ravenclaw and Slytherin houses. Indeed, it has been several years since I've seen the competition go as close as it was this term. These houses each have something to celebrate, because participants earned an impressive number of house points in each house! Please join me in congratulating everyone for their hard work this term! In last place, with 18,129 points is Hufflepuff. In third place, with 19,727 points is Gryffindor. In second place, with 27,466 points is Ravenclaw. Finally, in first place, with 29,237 points is Slytherin! 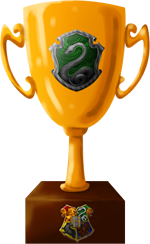 The house cup will continue, yet again, to reside in head of Slytherin house, Prof. Liam Kartak's, office. Congratulations students of Slytherin and well done to all students this winter! the Board of Governors have decided to institute following changes in Sweden. areas of the country and school & to ensure that there is an equitable split in roles. and all the various aspects that this pertains to. Her loyalty and hard work for Durmstrang is highly appreciated and we know she will flourish in her new role. Prof. Annabelle Nyland has been appointed as the Director of Sweden and Headmistress of Durmstrang. her capability is perfect for the position. Let us support these writers IC and OOC in their positions. This be yer Pirate Queen speakin'! Following today's very extended downtime it gave the Governors and I some time to think about the future of our site. As it turns out, a Harry Potter RPG just isn't sustainable. We believe what YOU the members want is something filled with a bit more adventure. That is why we are transforming HO into Yo-HO, the world's first pirate-based online RPG. You will be able to clash with the best pirates on the seven seas. The schools will shortly disappear from our site and be replaced with two warring pirate ships. Owls will be replaced with parrots or monkeys. You will all become thralls in our pirate armies, but you will all stand the chance to rise in the ranks to captain your own crew. Please remember to have fun, and April Fools, everyone! 1. Following graduation, HOS Alumni who wish to reserve their face in all 3 countries must contact the Mirror. 2. If the Official HOS Alum character remains active, their face is reserved in all 3 countries. 3. Alumni faces can never be claimed in the country where the character graduated, provided they remain active. -In order to be considered active, an alumnus must have logged in at last once in the last 6 months. 4. If an Alumni goes inactive, anyone may request the inactive character's face. 5. If an inactive Alumni returns, they have the right to reclaim their face by PMing the Mirror, but they must share the face if it has already been claimed by an active member before their return. 6. Alumni must be re-sorted as an adult BEFORE you send in your face. Graduating 7th years who send it in early will not be added, and will have to send it in or bump the PM once they are in an adult masking. We want to continue to honor the great achievement of graduating from Hogwarts while being mindful of new members to the site. Alumni members must now log in at least once in 6 months to continue reserving their face. However, if they fall inactive and someone else claims their face they may return and reclaim it with the caveat that the face is then shared with the active member. In addition, we understand that sometimes the face you initially chose no longer suits your character. Previously, you could only change your face once at graduation or when the account changes hands. However, the rules will now be changed to allow everyone to change their face ONCE outside of these requirements for very good reason and at the discretion of the Mirror. 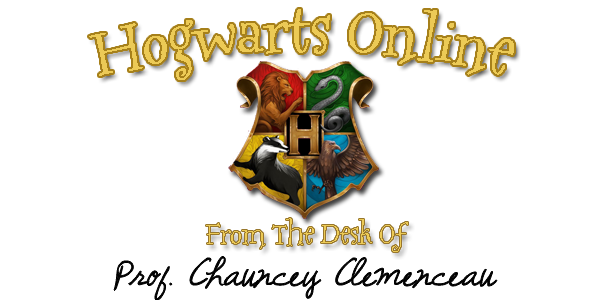 We hope you will enjoy these new freedoms and continue to make our site the gold standard in Harry Potter RPG. Quidditch made its return to Hogwarts this term after a long hiatus. As the season came to an exciting end, everyone was thrilled to see great enthusiasm for the sport in each and every one of our players. It gives me great pleasure to announce the final team standings of this wonderful Quidditch season. Please join me in congratulating our newest Quidditch Cup champion below! In last place, with 575 points, is team Hufflepuff. In third place, with 1465 points, is team Slytherin. In second place, with 1780 points, is team Ravenclaw. And winner of the Quidditch Cup, with 1945 points, is team . . . Although every player played exceptionally well to earn points to help their house team towards victory in this inter-house Quidditch championship, some players went above and beyond to do so. Such stellar efforts have earned each title holder a bonus 50 points! The Governors and I would like to send out this quick PSA about conflict resolution on HO. Part of our job as your administrators is to help maintain a peaceful and safe environment for all members to have fun and express themselves. This includes the crucial role of conflict resolution. All of our Governors have some degree of training in conflict resolution and dispute mediation. I am a trained communication professional with years of experience in the field, three of us are teachers, and the rest of us have extensive experience in the business world. In short, we all have years of experience working with others and maintaining safe, healthy environments for our colleagues. We want to do the same for you! Most of our members are perfectly capable at resolving small disputes between friends, but sometimes it is better so seek the help of a third party to prevent a situation from devolving into something more serious. It is important to know your limits and to know that it is okay to ask us for help! As we have decided to pursue many upgrades on our forums in an attempt to continue to modernizing HO, we also felt that the size of the Governor's Board was not quite set for what we want to achieve for our membership. After careful consideration, the others and I have interviewed, nominated, and accepted to our ranked Prof. Annabelle Nylund and Official Liam Kartak. Both of these members have tremendous experience running Durmstrang and Slytherin House respectively and have shown great initiative in endeavors of their own. They received wide acclaim and wonderful references during the selection process from many of our current Governors and I felt that at this time, a slightly larger administration team would serve the site well. Together, they will jointly oversee the Academics Commission to make it more simple and more befitting a site of our size. I expect amazing things from them both and am proud to welcome them to the team. Please join me in congratulating them. This Quidditch season was just as incredible and full of enthusiasm as the last one had been. Everyone worked really hard for their house teams as the pitch continued to bustle with activity throughout the term, and it gives me great pleasure to announce the final team standings of this season. Please join me in congratulating our newest Quidditch Cup champion below! In last place, with 110 points, is team Ravenclaw. In third place, with 1410 points, is team Gryffindor. In second place, with 1550 points, is team Slytherin. And winner of the Quidditch Cup, with 1760 points, is team . . . The Quidditch Cup for this season will reside in Professor Blake Balthazar's office. Although everyone played exceptionally well to earn points to help their house team towards victory in this inter-house Quidditch championship, some players went above and beyond to do so. Such stellar efforts have earned them a bonus 50 points for each title earned! Congratulations and well done to team Hufflepuff, aforementioned MVP recipients and all the players! Hello Hogwartsians, we are ending yet another fun-filled term! Though quick, I am excited to see how many points each house has earned. Our winner took the lead by a bit of a landslide, too. Please join me in congratulating everyone for their hard work this fall term! In last place, with 5,109 points is Hufflepuff. In third place, with 9,615 points is Ravenclaw. In second place, with 10,541 points is Gryffindor. Finally, in first place, with 14,087 points is Slytherin! Congratulations students of Slytherin and well done to all students this fall!